Today’s Left accords great intellectual respect to Democrat actors but I can remember a time when the Left openly called at least one actor (Reagan) stupid. 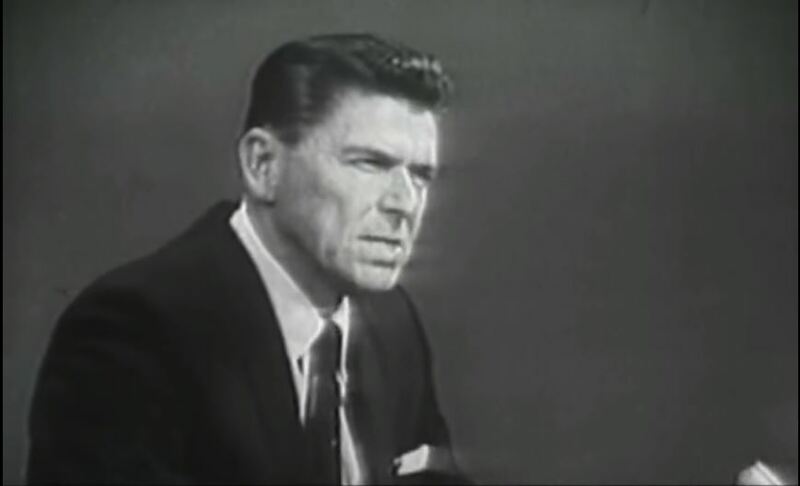 Those of us alive during the Reagan era, whether when he was California governor or United States president, remember that a consistent insult that the Democrats hurled at him was that he was “an actor.” This was understood to mean that Reagan was stupid and ill-informed because actors — mere puppets who repeat words other who put in their mouths and who, often, barely graduated from high school before heading for Hollywood — could not be expected to know facts, understand complex systems, have moral principles, or function in an executive capacity. Ulysses S. Grant: What makes a consequential president? Fifty years of school histories have lied about Ulysses S. Grant, who was a gifted man and consequential president. Not being a career politician helped. I’m reading Ron Chernow’s Grant . As I only started the book this morning, and have been reading in tiny bits and bytes, I’m only 3% into the book. Grant is just out of West Point and the U.S. is hoping to acquire Texas — with the slave states looking to tip the Congressional balance of power in their favor. Three percent of a book about a man who was a towering figure in the mid-19th century America isn’t much, but it’s been enough to tell me that everything I’ve ever learned in American history classes about Ulysses S. Grant is wrong. According to those classes, he was an intellectually weak, drunken, ineffectual, plodding man, who rose as a general by being a blood-thirsty butcher on the field of war, and he was an ignoramus once in politics. Chernow has already informed me that Grant did have a binge-drinking problem, but he fought valiantly; that he was brilliant at math and military strategy; that he was an intelligent man; that he was highly principled and utterly reliable; that he was a middling (not failing) student at West Point; that he had a horror of blood and violence that led him to fighting war rigorously to end it swiftly; and that he was a consequential and effective president. Some of this Chernow has already proven in writing about Grant’s youth and young adulthood; other parts Chernow promises in his introduction that he will prove in the book and I believe him. Anti-Trump Progressives are suffering from an existential despair that has them believing his presidency means the imminent end of all life on earth. I was speaking the other day with a very good friend, who is one of the kindest people I know and who is also a fervent anti-Trump Progressive. Her Progressivism comes about because, despite being highly intelligent, she really does lead with her heart. This means that Leftist pleas to emotion are catnip to her. Blinded by Progressive media photos of illegal immigrants being marched away from their families — families they had even knowing they could get caught and deported — she is blind to the families of those killed by illegal immigrants who shouldn’t have been here to kill in the first place. After all, the heart-wrenching photos of the victims of illegal killers do not make the front page of the New York Times and their families never ended up on Oprah. Normally, I’m not one to condone wishing for or celebrating the assassination of a democratically elected leader. I learned that moral lesson back in 1981, when I was a student at Cal and the news came down that Reagan had been shot. Unlike the horror that attended JFK’s assassination in 1963, at Cal in 1981 people were thrilled that Reagan had been shot . . . and then deeply disappointed to learn that he’d survived the attempt. When I spoke to my parents later that day, and repeated these UC Berkeley sentiments as if they were my own, my parents turned on me. They were absolutely horrified that any moral person could (a) wish for the murder of a democratically elected leader and (b) cheer on anyone’s death. My parents, who had lived through WWII, knew death. They didn’t like it. And while they had no qualms about killing Germans and Japanese to win the war, they were sufficiently moral to understand that, while a kill-or-be-killed situation makes killing “the other” reasonable, we lower ourselves when we cheer on the death of our own or when we dehumanize people as the Germans and Nazis did . . . or as I and my fellow Cal students did. I never made that mistake again. Even now, while I can devoutly hope that every single ISIS soldier gets killed (with or without attendant suffering), because these men are unspeakably cruel and brutal, I do not forget that they are human beings who went to the dark side and that, under better circumstances, they could have been decent men. Yes, I can hold both thoughts in my mind. One thought is about my own and my country’s survival and about abstract justice against overarching evil; the other thought is about my own humanity and the fact that the enemy is a complicated mix of men who have given themselves to evil and men who are themselves so trapped by evil that killing them is still a necessity.